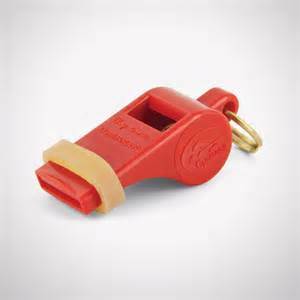 Shepherds Mouth Whistle as used for years by professional dog trainers. 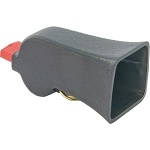 FREE UK Postage - The Acme Gun Dog whistle is an easy blowing, High tone dog whistle. The 210 is fitted with solid, waterproof pea, to give a trill for those who want a distinctive and different sound. Available in black or orange. Stags Horn whistle & lanyard. High pitched without a pea. 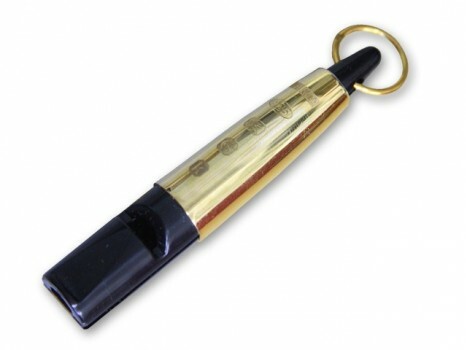 FREE UK Postage - The Acme Gun Dog whistle is an easy blowing, High tone dog whistle, 211.5 pitch. Pealess to give a trill for those who want a distinctive and different sound. Now available in five colours; Black, Orange, Blue, Green and Yellow. 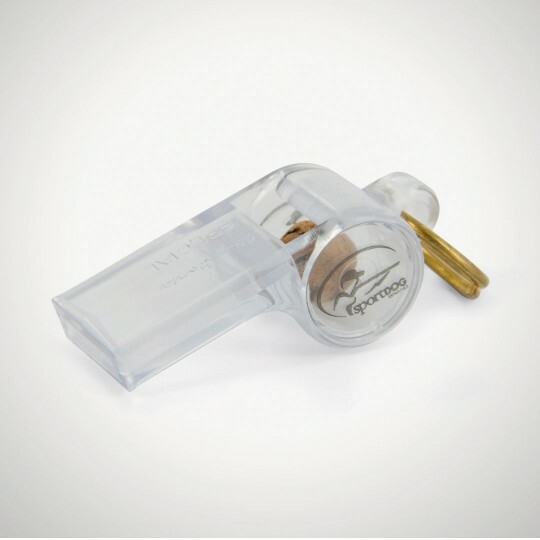 The SportDOG Brand Roy Gonia Clear Competition Whistle features a lower-pitched sound that carries farther and an easy-to-blow design for effective communication while training or in the field. 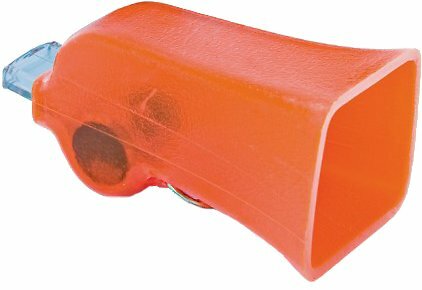 The Mega Whistle is time tested and proven to be the finest whistle available for adding range, direction and ear protection. 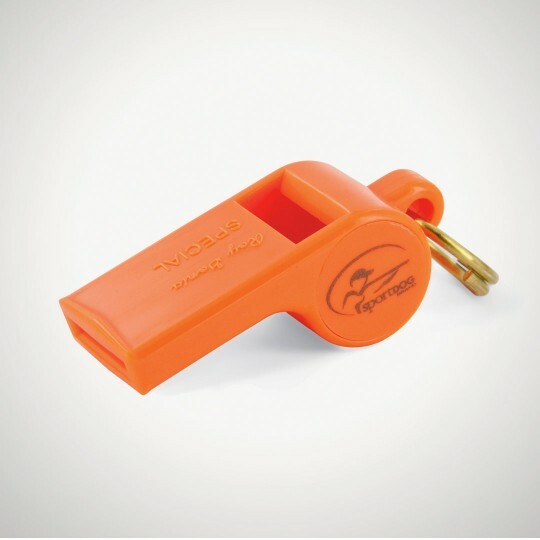 This whistle is used by the best dog trainers, hunters and handlers in the world. IDEAL PRESENT!!! What do you get the gundog owner who has everything? A solid silver ACME dog training whistle, of course! This really is the ultimate gift, and a beautiful collectors item. Crafted and hallmarked in Birmingham, these beautiful solid sterling silver whistles are made to exactly the same pitch and dimensions as their plastic counterparts. Available in 210.5, 211.5 and 212 versions. The whistle comes in its own plush presentation box & a FREE lanyard to keep it safe. IDEAL PRESENT!!! What do you get the gundog owner who has everything? A gold ACME dog training whistle, of course! This really is the ultimate gift, and a beautiful collectors item. Crafted and hallmarked in Birmingham, these beautiful gold whistles are made to exactly the same pitch and dimensions as their plastic counterparts. Available in 210.5 and 211.5 versions. The whistle comes in its own plush presentation box & a FREE lanyard to keep it safe. IDEAL PRESENT!!! What do you get the gundog owner who has everything? A silver ACME dog training whistle, of course! This really is the ultimate gift, and a beautiful collectors item. Crafted and hallmarked in Birmingham, these beautiful sterling silver whistles are made to exactly the same pitch and dimensions as their plastic counterparts. Available in 210.5 and 211.5 versions. The whistle comes in its own plush presentation box & a FREE lanyard to keep it safe. The ULTIMATE Present!! What do you get the gundog owner who has everything? A solid silver gold plated ACME dog training whistle, of course! This really is the ultimate gift, and a beautiful collectors item. Crafted and hallmarked in Birmingham, these beautiful solid sterling silver gold plated whistles are made to exactly the same pitch and dimensions as their plastic counterparts. Available in 210.5, 211.5 and 212 versions. 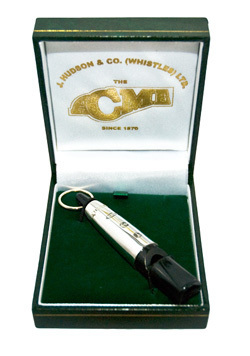 The whistle comes in its own plush presentation box & a FREE lanyard to keep it safe.